Today we have a double celebration: it's day 5 of the blog party and it's also the day for the Designer Craft Connection blog hop. Most of these talented designers have a wonderful project for you this time: a sock monkey! 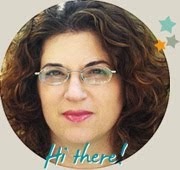 Just click on the DCC button on the right side of my blog and you can see all the great projects! But before you hop on, please take a minute to complete today's mission! Contact me with your details, so I can send you your prize. 1. Subscribe to my blog (if you are not already subscribed). 2. Post the mission in whatever on line media you want: blog, FB, twitter etc. with a link back to the Blog Party. 3. Go back to my blog and write a comment with a link to your post. You can join us for some of the days or all of them. Each day I will randomly choose a winner for the daily giveaway and post it the next day. Whoever takes part in minimum of 7 missions out of 12 will have a chance to win the grand prize, which will also be randomly selected. The grand prize is going to be 150$ gift card to some fabulous shopping at Scrapbook.com! if you hadn't join us yet, you definitely should! There is still time! Today I want to share some ideas for great holiday photos. 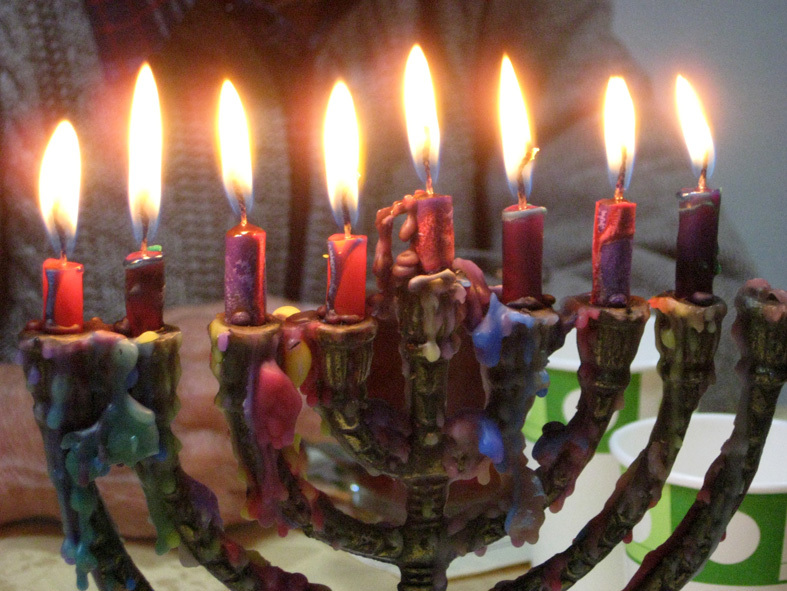 These are photos of last year's Hanukkah, but you can use the tips for any holiday photos you want. 1. Take the photo from up close – to get all the details, like the, melting wax I took the photo of the Menorah from a really small distance. I put my camera on micro (the small flower) and took the photo with no flash. 2. 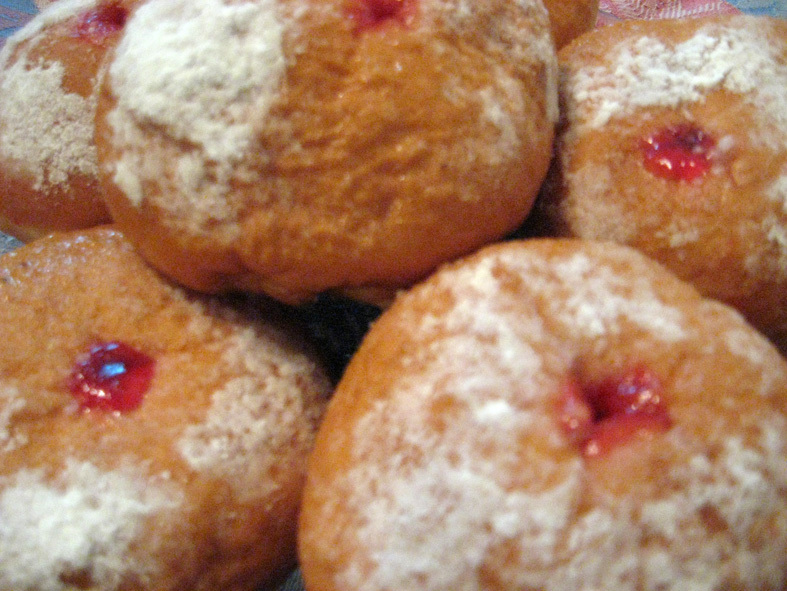 Take a photo of clusters – to really convey the holiday spirit in my photo I took a photo of all the doughnuts on the plate. 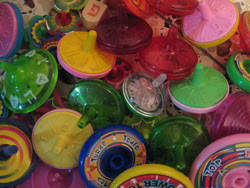 I did the same with the spinning tops that my kids were playing with. Day 5 mission: (if you choose to accept it) is to share your favorite holiday food. Post it on your blog, on FB, on message boards, anywhere on line you want with a link to the Blog Party. Then go back to my blog and write a comment with a link to your post. 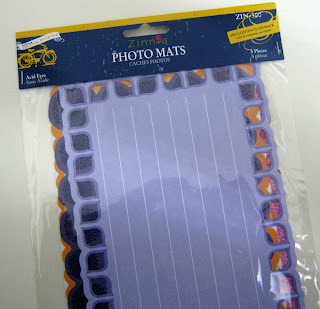 Day 5 giveaway: Photo mats by LYB. Great addition to your layouts or mini albums. Great tips! I will try them this Christmas. מאוד נהנית- גם מההדרכות וגם מהמשימות! !